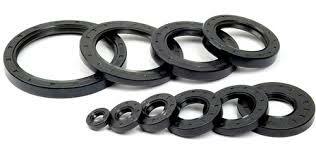 The Oil Seals, offered by us, are regarded as one of the most reliable mechanical seals in the automotive sector. We are working with a group of professionals who make special emphasis on the products packaging and ensure that the material is procured from the reliable sources only. We are backed by a well-structured and capacious storehouse that assists us in furnishing urgent and quick requirements of the clients. Moreover, we ensure complete safety of the stored items.